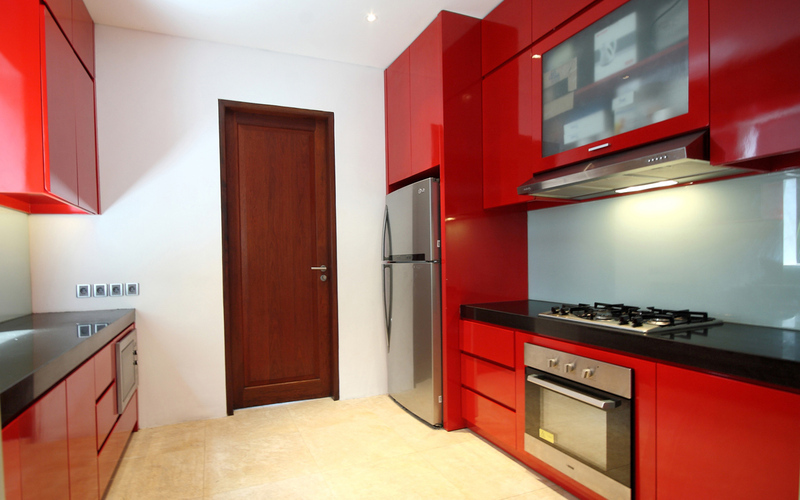 From $ 571AUD per night We have direct contracts with most villa owners. We don't add any booking fees. We are 100% transparent with no nasty surprises. 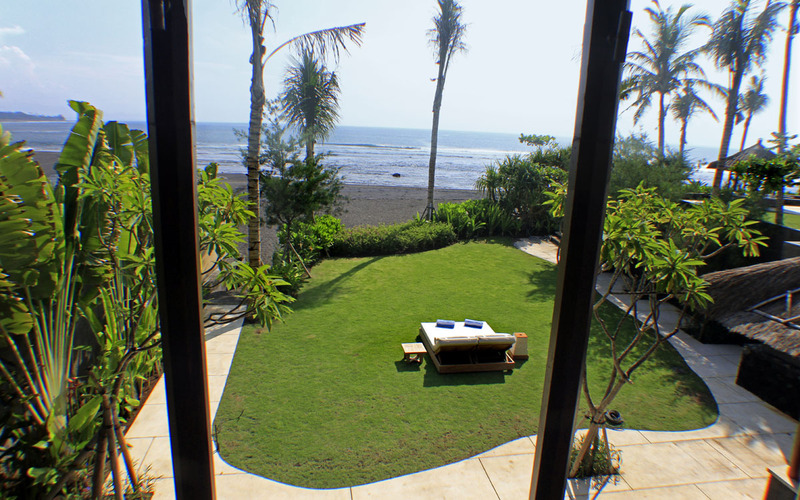 Romantic villa in beachfront location in Sanur - rent this now! 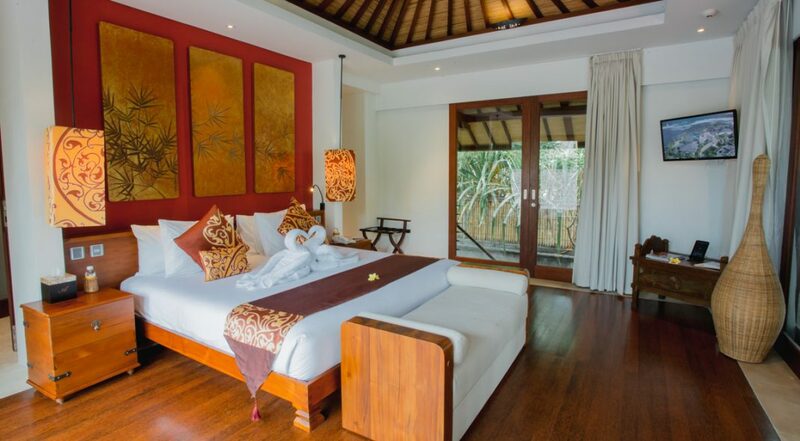 Villa Puri Kamadewa is a 1 bedroom Sanur villa holiday rental that will instill romance, passion and intimacy for a very lucky couple looking for that romantic Bali escape. 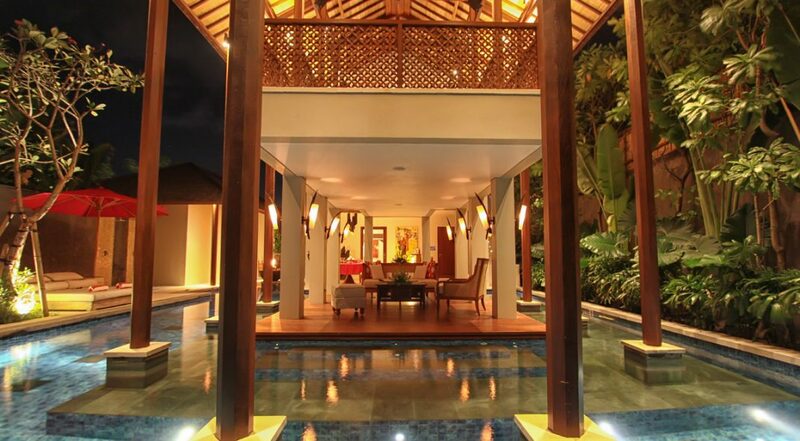 This luxurious beach front villa is a one of a kind with absolute privacy and time alone together in mind. 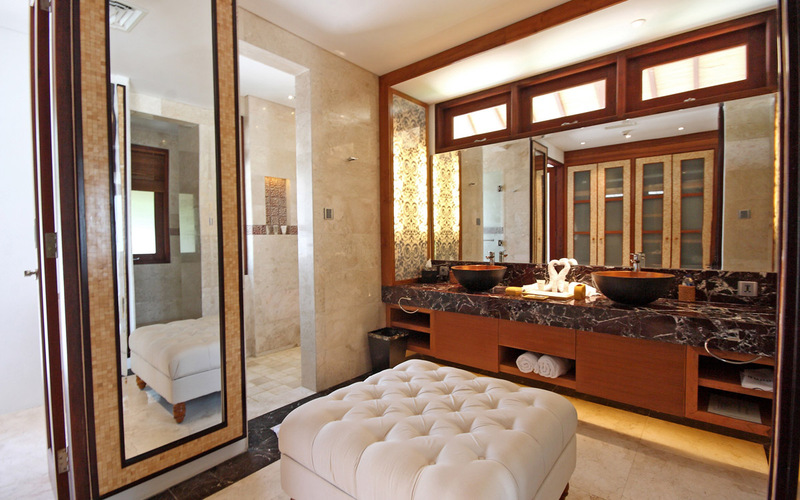 A stunning use of water features, premium king size bed and a secluded private Jacuzzi with ocean views are sure to please. 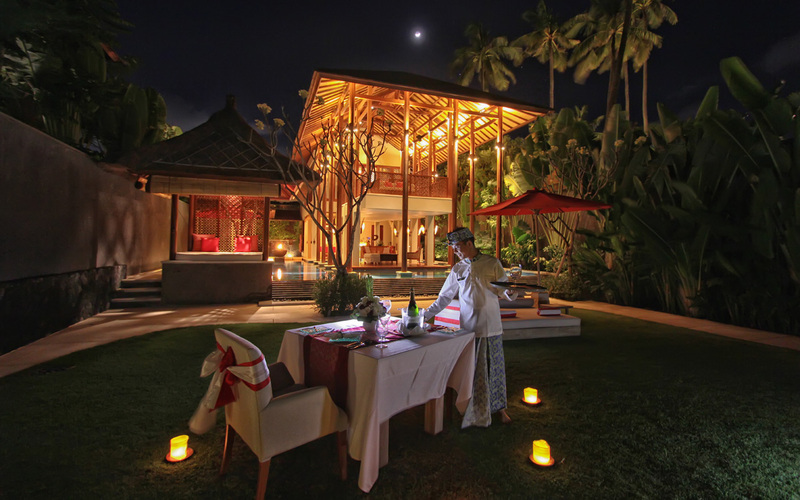 The added services of a private and exclusive villa complex will make for a memorable Bali getaway. 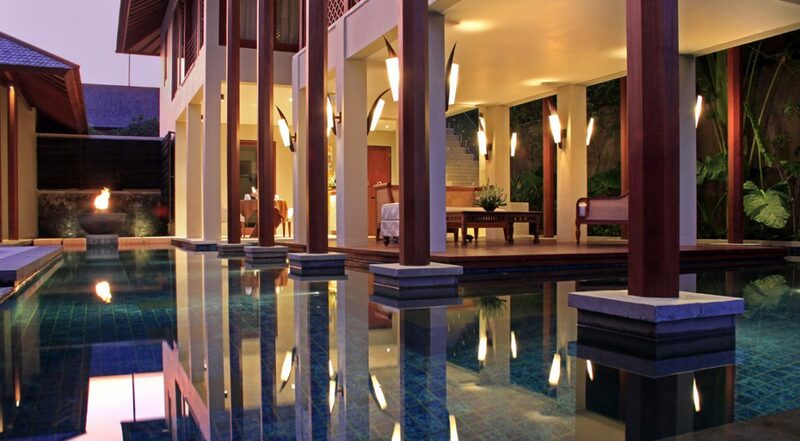 The villas structure is set over an infinity pool which encircles the living space on all sides. 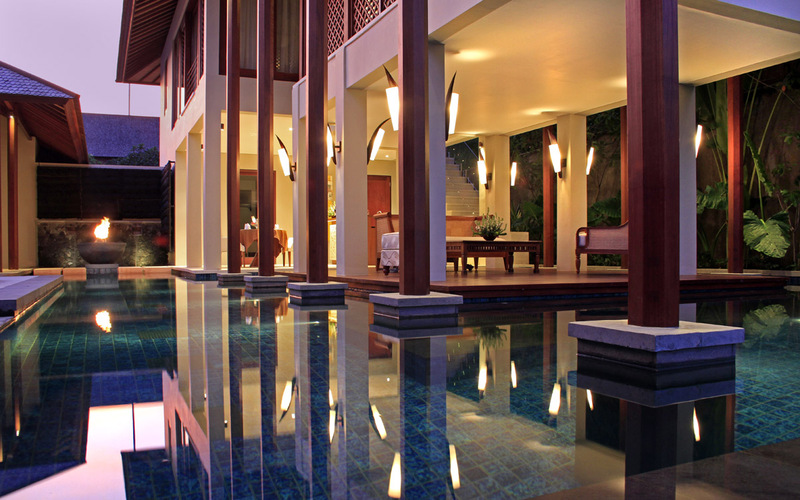 To one side a pool deck houses a huge reclining day bed with fresh towels and an umbrella for shade. At one side of the pool there is a romantic bale where you can curl up with your partner in the mid afternoons and early evenings. 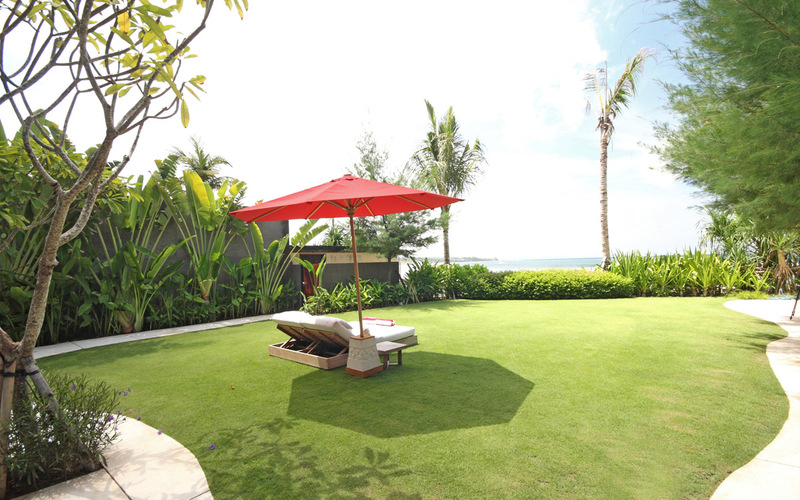 The manicured lawn houses another daybed where you can sit back and take in the ocean views. 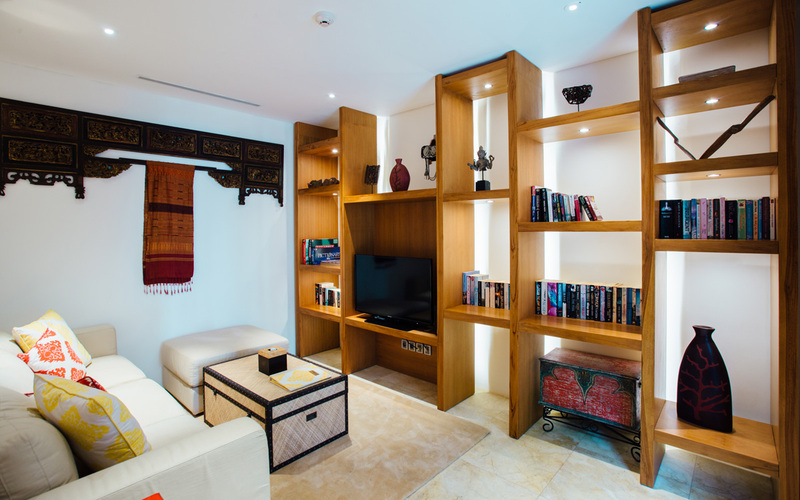 Puri Kamadewa’s living areas encircled by the infinity pool on the ground floor, this open-air space completed with a fully equipped air-conditioned media room and convenient kitchenette with plenty of appliances including an espresso machine. There is a sitting area downstairs where you can see the ocean and a dining table for 2 by the infinity pool, the staff will happily serve you a dinner under the stars on the lawn for a romantic evening. 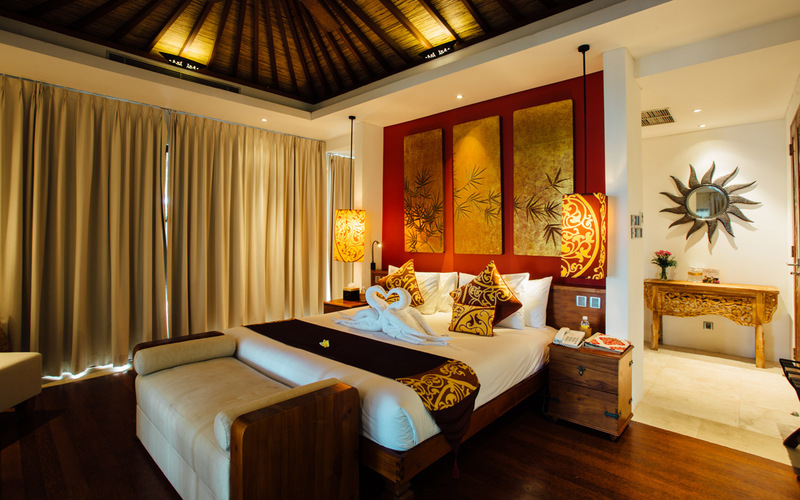 Upstairs you will find the super king sized bedroom suite, timber floors with hues of red are found in the Asian influenced artisan head board and lamp shades. Black out curtains, air-conditioning or ceiling fans will suit to your desired room comforts with a spacious dressing area and en-suite done out in luxurious marble finishing that is exquisite. 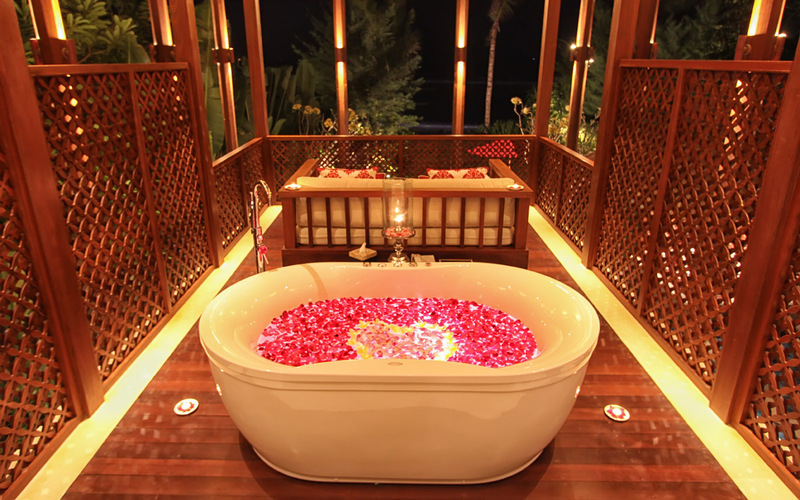 But the highlight would have to be your private jacuzzi for two out on the deck with the love chair looking over the ocean. 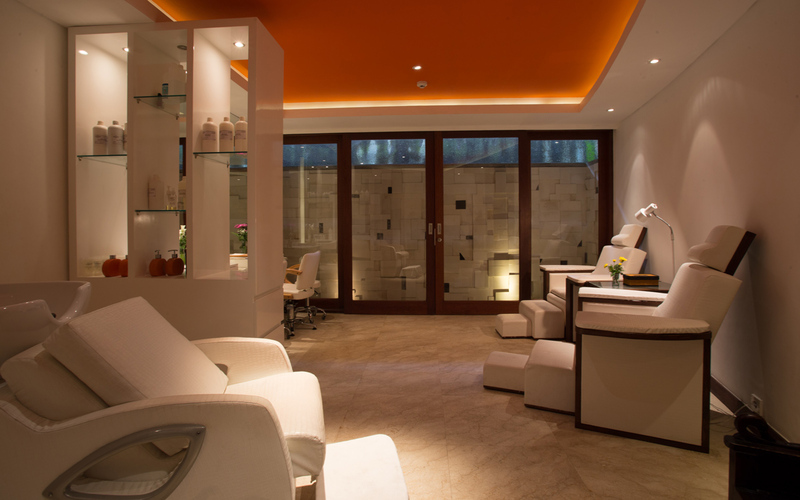 This is what sets this villa apart from so many others. If your coming here on your honeymoon, think about all the fun you can have. 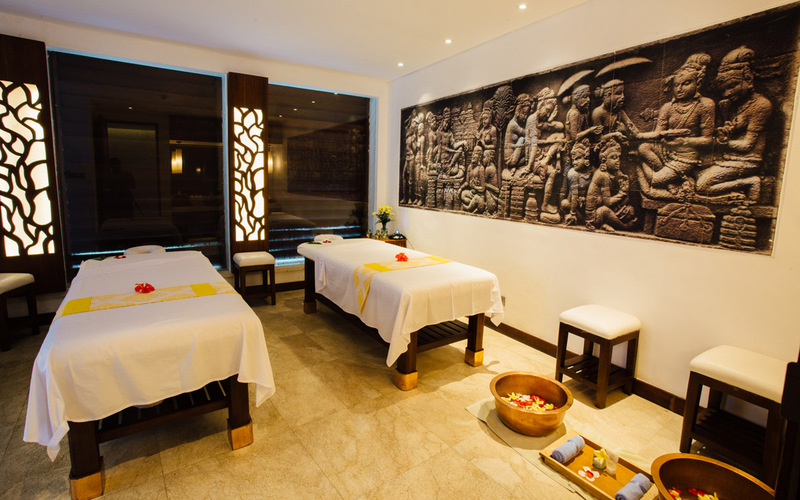 You can be sure to be well looked after at Villa Puri Kamadewa, the complex has resort style services with a private spa, gymnasium, chauffeur driven cars, communal facilities, concierge and room services of all description. 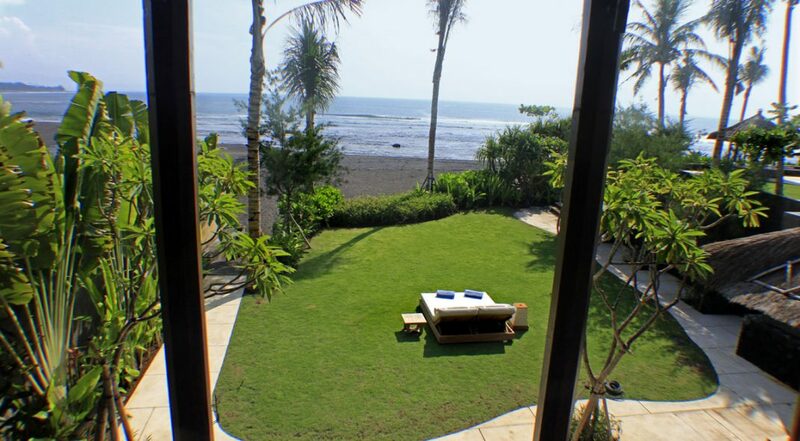 The villa complex is located at Pabean Beach on Bali’s South East Coast, 45 mins from Denpasar airport and just 15 minutes passed the popular seaside resort area of Sanur. The villa chauffeur can bring you to Ubud to experience some great art galleries, restaurants and local cafes of every description. 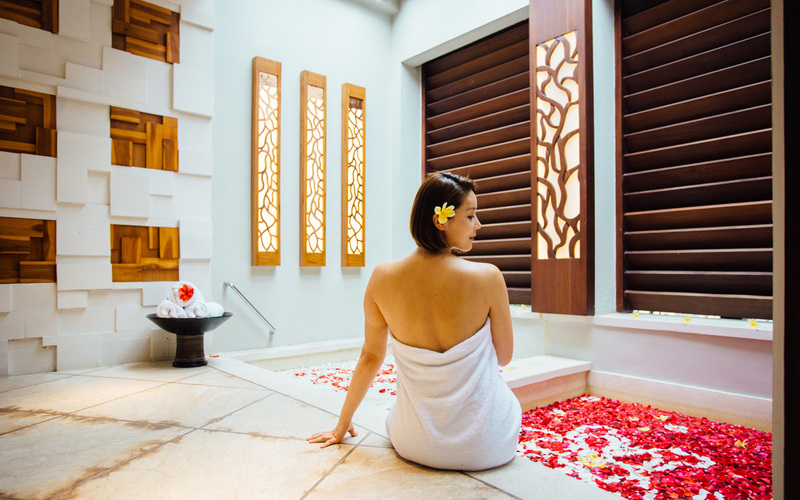 Some other attractions just a few minutes from the villa include Bali Bird Park, Bali Safari and Marine Park and the great beach club at the Komune Resort with pools and amazing surf is nearby. Sanur has loads of cafes, bars & restaurants where you can come for a meal or a cocktail at sunset time. There are also souvenir shops along the beach promenade where you can get all your ‘typical Balinese’ gifts to take back home. 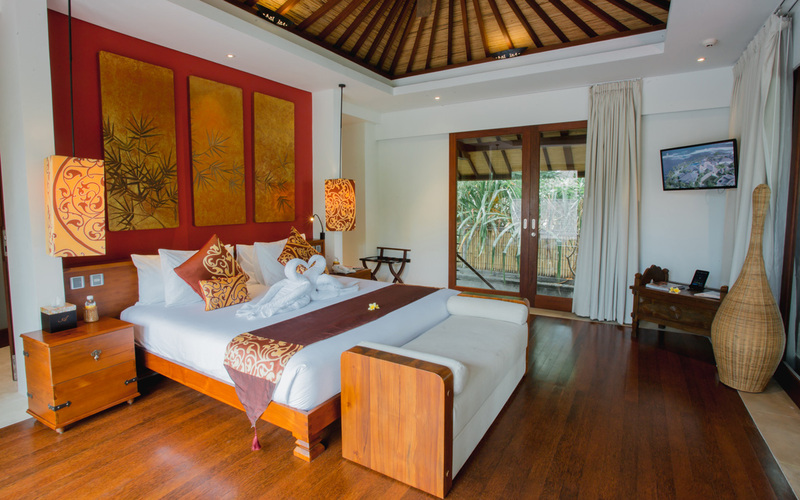 To see other 1 bedroom romantic or couples villas in Bali or some more Sanur villas close to the beach please browse this website or contact our reservation team. 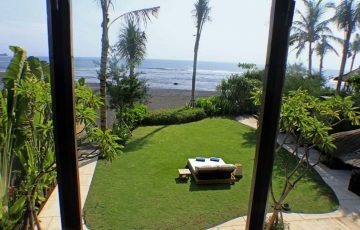 Book your Sanur holiday at Villa Puri Kamadewa well in advance as this is a really popular villa especially if your planning a trip to Bali during the Australian school or public holidays. Perfect villa for the 2 of us. 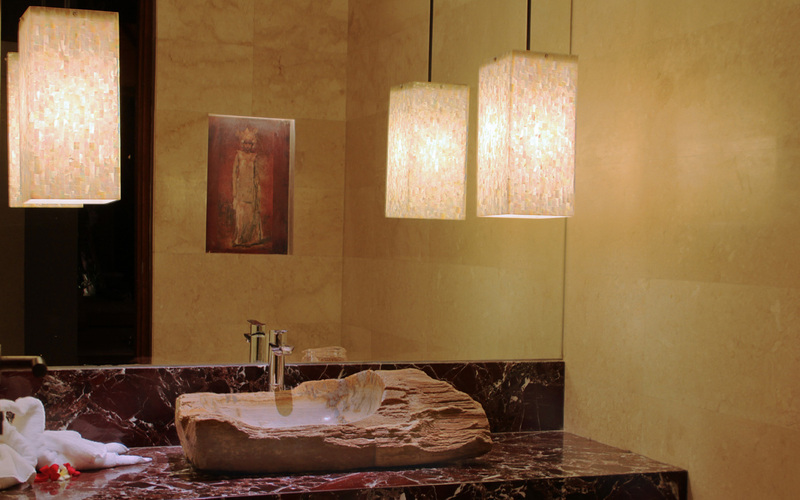 We really wanted a beach style holiday and wanted to have lots of privacy and a little bit of luxury thrown in as well. 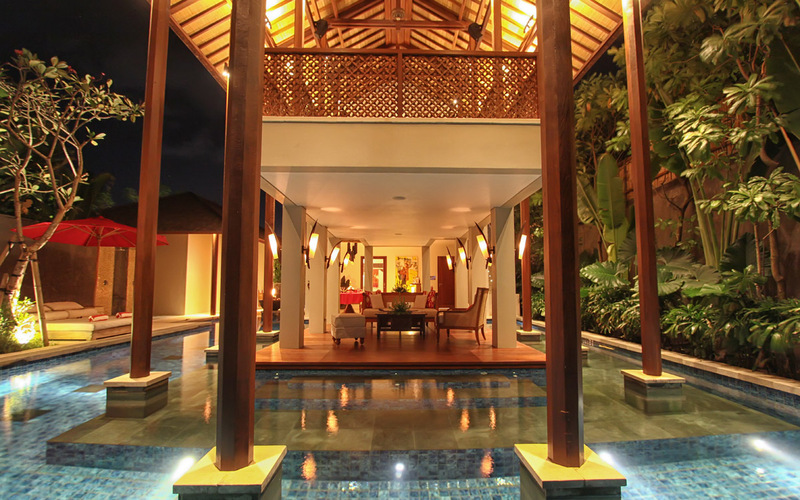 After doing all our research we settled on this villa and we are so glad we did. It was worth every dollar. The location is sublime, the living areas are gorgeous and the staff are really customer focused, who were there on hand to make sure we were 100% happy. 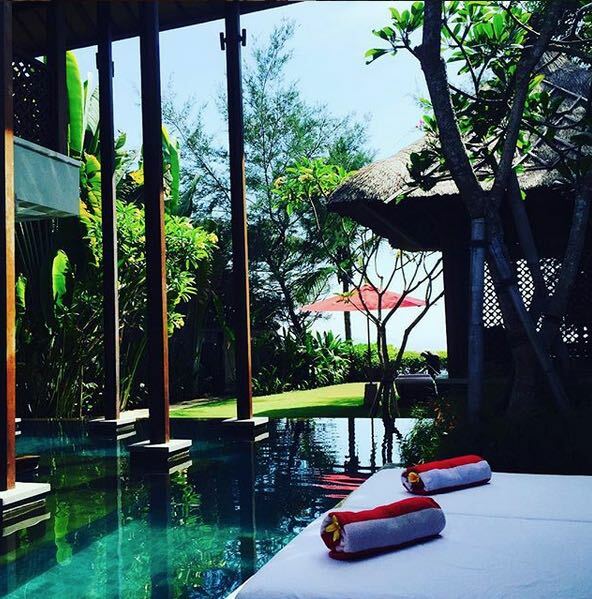 Days were spent lazing around on the beach and by the pool or getting some much needed massages. 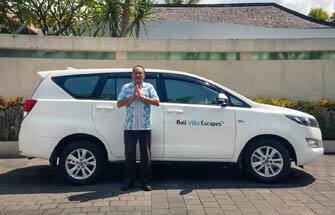 A big thanks to Ina and Yayuk at Bali Villa Escapes for helping us with all our reservation details - you did a fabulous job! Highly recommended. 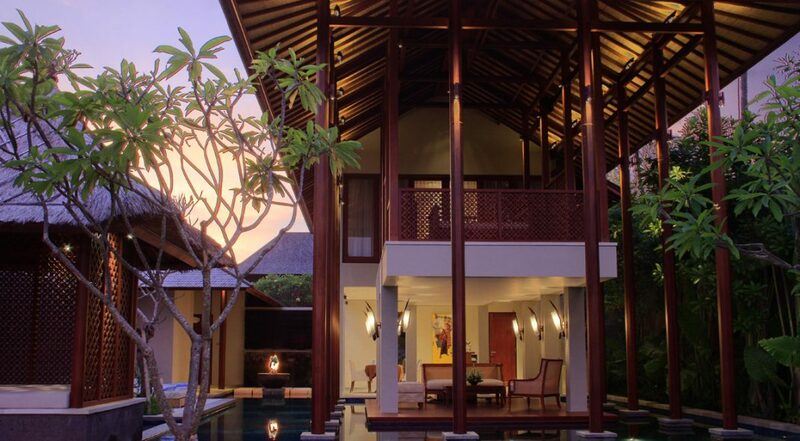 Just spent my honeymoon here and can highly recommend this stunning villa. Private, peaceful and really chilled out. Loved every minute. Private peaceful and worth every cent. This is just got to be one of the most fabulous villas I have ever stayed in with my husband. Lots of privacy, great service and all on the beach!!! 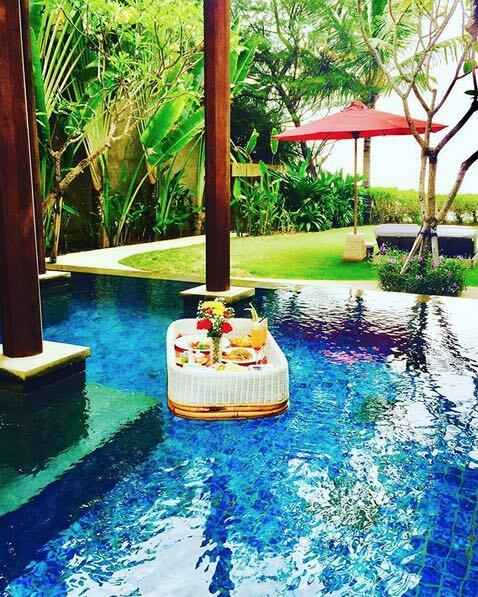 If you love Bali beach holidays and you want to do it in style with the one you love - this is it. Second time staying here. Loved the villa, the staff and the gorgeous location. Thanks to all the staff at Villa Puri Kamadewa for a sensational time.